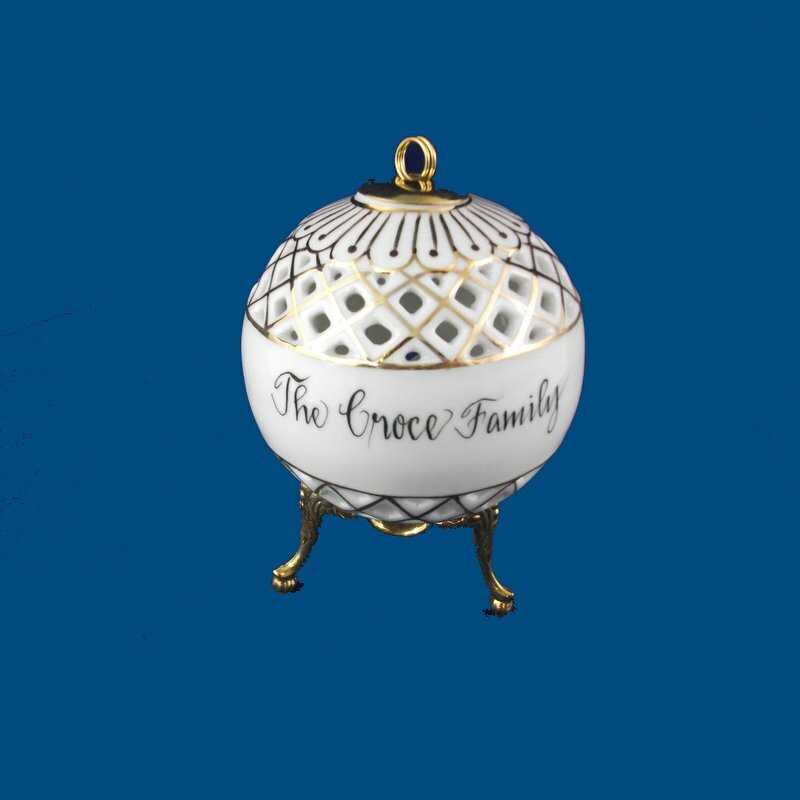 Our hand painted open work personalized Christmas ball is trimmed in gold and is a very unique Christmas tree ornament. You can have an individual or family name personalized on front and a short personal message hand painted on the back. For example, Merry Christmas 2018 With love, Grandma." 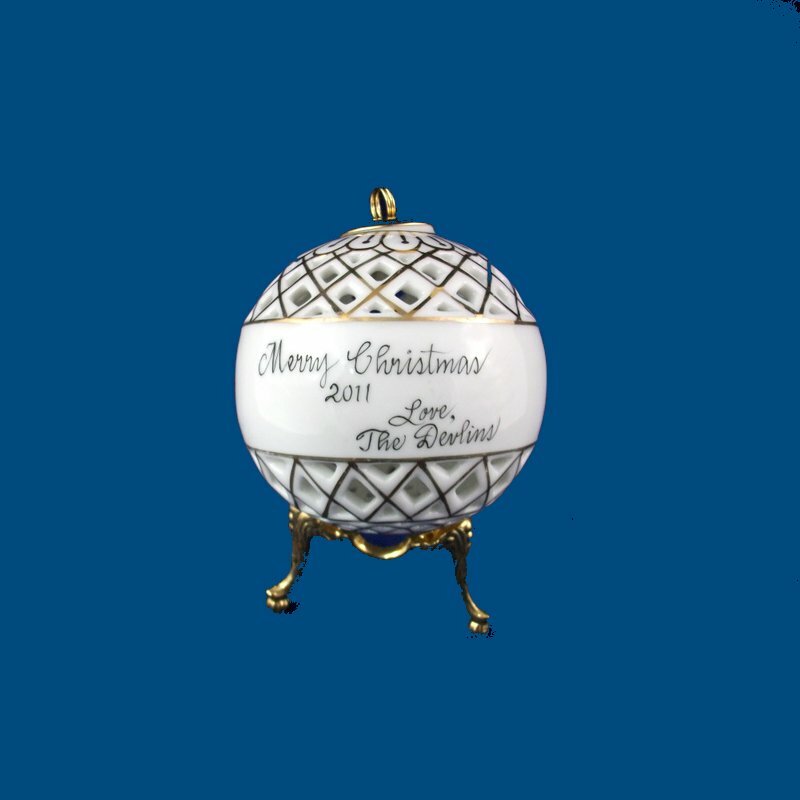 This porcelain Christmas ball will be a forever keepsake. A gift box with tulle ribbon and enclosure card is complimentary with your purchase.